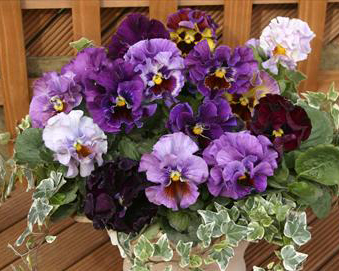 Italian improved extra large and ruffled Viola 8cm across. Create an eyecatching display in borders or containers. Suitable for summer or winter flowering, cut-flower. Eatable. Sow late winter/spring or late summer.Sow 1.5mm deep in good seed compost excluding light as darkness is beneficial. Germination usually takes 14-21 days at 19-24C. Keep the soil just moist and avoid high temperatures which will prevent germination.